Have you ever been employed by Deluxe Plastics before? 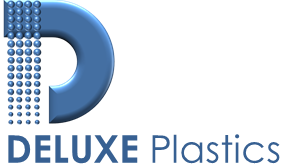 Have you ever applied at Deluxe Plastics before? I can bend my knees and pick up 20 lbs. I can push 50 lbs. I can pull 50 lbs. If presently employed, why do you wish to change positions? Please account for all periods of time where you were unemployed for one month or more since you left school, until the present time. Please list at least one previous supervisor. I understand and acknowledge that my employment is at-will, which means that either I or Deluxe Plastics may terminate employment at any time and for any reason with or without notice. I also understand that no one has any authority to enter into any agreement contrary to the preceding sentence except for a written agreement signed by a member of management. I hereby affirm that the information contained in this application (and resume, if any) is accurate and complete, and I understand that any false or misleading information or omissions will disqualify me from employment consideration or result in termination of employment, regardless of when discovered. I hereby authorize Deluxe Plastics to (1) investigate all statements contained in this application and/or resume; (2) contact my former employers and other listed references or any other persons who can provide information relative to my employment consideration; (3) contact any persons or entities regarding my employment application; (4) and make any other inquiries that the employer deems relevant in arriving at a decision regarding my application for employment. I consent to any contacted person, including former employers, to provide information about me and I covenant not to sue any such person for information provided about me.